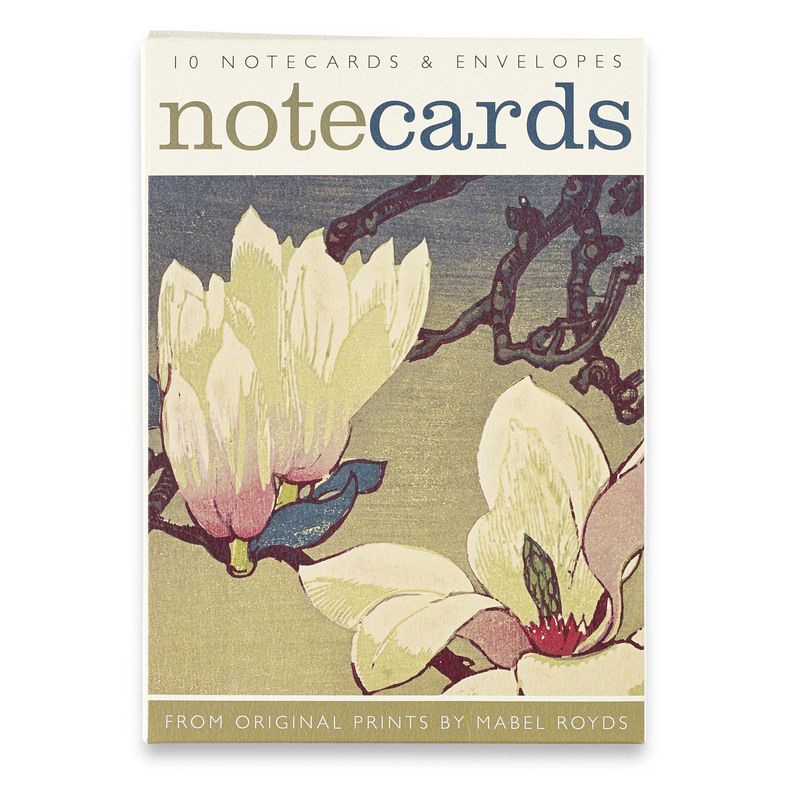 Beautiful notecard set featuring two bright and bold floral woodcuts by Mabel Royds. Each set contains ten notecards and envelopes, 5 each of 2 designs. These notecards are printed on FSC certified felt board making them soft to touch and a similar finish to the original woodcut prints. 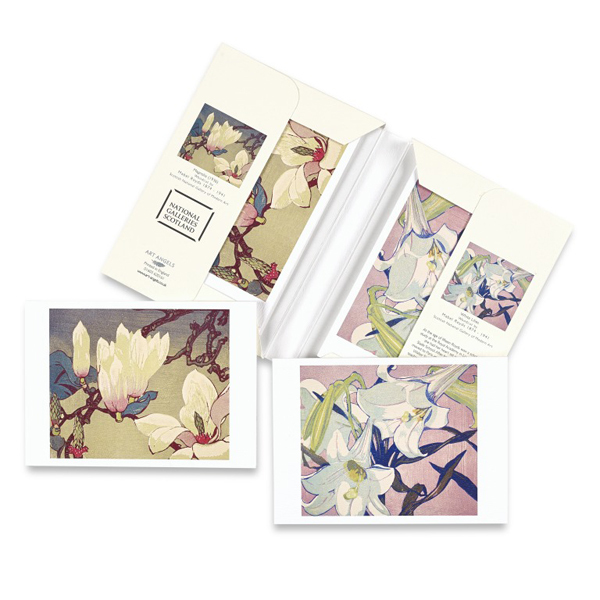 Each set features two beautiful prints by Mabel Royds, White Lilies and Magnolia, which are in the National Galleries of Scotland Collection. She was a teacher at the Edinburgh College of Art in 1911 and is best known for her colourful woodcuts of flowers. Single greeting card with front detail of Artichoke, about 1938, colour woodcut on paper from a series of flower prints by Mabel Royds (1874-1941), original size 25.40 x 29.40 cm (paper 28.60 x 32.80 cm).